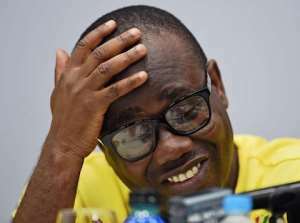 President of Ghana, Nana Addo Dankwah Akufo-Addo has ordered the arrest of Ghana Football Association president, Kwesi Nyantakyi. It is unclear what led to the arrest of the CAF 1st vice president. However, reports suggest that the Wa All Stars CEO has been charged with defrauding with false pretence. Currently, the country’s football governing body head is in the custody of Criminal Investigation Department.